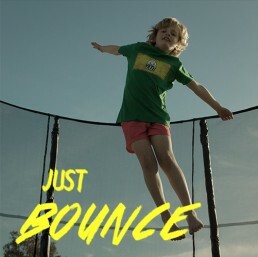 Big Air Trampolines is a Brisbane-based company with big ideas about fun, exercise, and safety. We use and love our kids trampolines, and so do our families! In 2009 we developed a safer and smarter alternative to the classic trampoline. We designed safety enclosures that keep kids away from springs, added extra thick padding, and used only the best quality materials. As a result, our Big Air Trampoline now entertains tens of thousands kids in backyards across Australia and New Zealand. As our kids got older we realised that the traditional flat-bed style trampoline was limiting their games, bounce, and imaginations. In 2015 we took on the Yeti springless trampoline brand and started building a new trampoline that would revolutionise trampoline play at home. Inspired by our kids and trampoline parks around the world we created the Yeti 360. With its larger size and slanted bounce zone, the Yeti provides unlimited possibilities for fun and is the only home trampoline of its kind anywhere in the world. Strong enough for teens and adults, the Yeti 360 will appeal to the whole family. Our expanding range now includes springless trampolines, round trampolines, rectangle trampolines, jumping castles, trampoline basketball systems and trampoline tents. We aim to continually innovate new products for Aussie backyards that encourage kids to put down their electronics and enjoy the outdoors. Call us on 02 8705 3277 to find out more.